Schuppener inherited her mother’s love for roses. A native of southern Florida, she has called Douglas County home for more than 40 years. A graduate of Mercer University, she joined the American Rose Society and the Greater Atlanta Rose Society in 1999, hoping to benefit from the advice and experience of the rosarians of the Society. To further her education and knowledge of rose growing, she became a Consulting Rosarian with the American Rose Society in 2003 and a Master Rosarian in 2014. She is also a member of the Rose Hybridizer’s Association. Because of the love/addiction she has for growing America’s national floral emblem, she finds herself now tending to more than 150 varieties of roses in her rose garden. In addition to growing and exhibiting roses, Linda has focused for the last 18 years on her rose hybridizing program, hoping one day to market a rose created in her own garden. 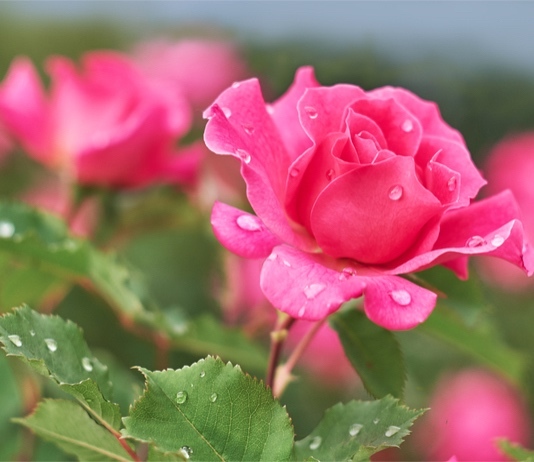 It was in 2012 that she registered her very first rose seedling – “Divine Dee.” Several others have followed. The meeting will be held at 10 a.m. at The Bridge Community Center, 225 Willow Bend, Peachtree City. The public is welcome to attend. Fayette County Master Gardeners meet on the third Tuesday of each month. For more information, email fayettemga@gmail.com.